RACHELLE: Can you tell me about the work you do? YVETTE: I have two different roles. 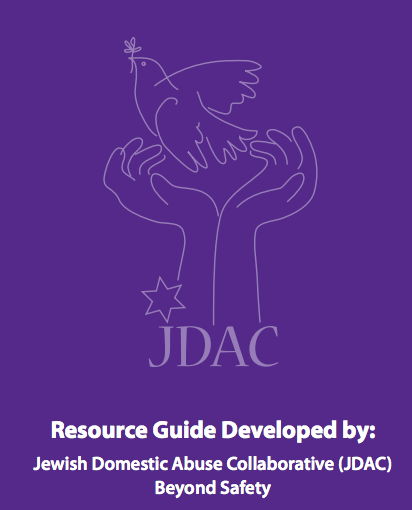 One is that I am an advocate for Jewish women survivors of domestic abuse. The second thing is that I am a professional mediator for high conflict cases. 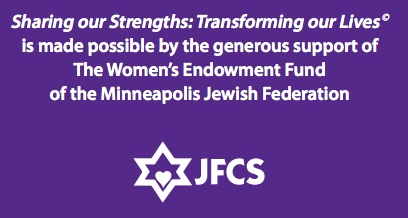 In 2014, I worked in collaboration with Jewish Family & Children Services and Jewish Endowment Fund and I created a resource called SOS – Sharing Our Strength. It is a tool dedicated to empowering women who have gone through conflicts and difficulties at home, at work, or just in general. The book’s purpose is to provide a one stop shop of different resources. To create a bridge for women to transition from victim, and not only to survivor, but someone who reaches stability for her and her children. The book is divided into chapters and each chapter takes care of a different aspect of a woman’s life: the financial, the spiritual, and the crisis. What to do and how to respond to enhance your life from a situation. It is all done through the angle of Judaism. The book is delivered to women who are going through a crisis. It is self guided so a woman can work on her own, but also can rely on an advocate or social worker. When in crisis, one needs to rely on community. In many cases women become single mothers and need to take care of their kids. This book can supply women with the tools to do that. RACHELLE: How did you get involved with this? YVETTE: It began as a very intimate story. I went through that situation, which inspired me to look – to turn a tragedy into a blessing. I faced so many challenges trying to provide for my son – the crisis of my situation. I faced financial difficulties and I faced challenges within society – with stigmas and taboos. Financially, it was an immense challenge, despite the fact that I was a professional with a masters degree. A situation like this can shake the foundations of your life. And it is society’s responsibility to prevent it. I was fortunate to be able to identify what the help was that I had needed, but I hadn’t been offered. After I came out on the “other side,” I decided to put this in writing and reach out to women who might wake up one day with a crisis. Having a tool like SOS will alleviate and diminish the risk of getting into a bigger crisis. If a woman needs counseling to revamp her career, for example, she will have some sort of guidance. The entire project is based on community. It’s about having a better tomorrow. It’s also based on resilience and experience from memories that can enhance tomorrow. RACHELLE: How do the ideas in SOS connect with Judaism? YVETTE: One of the main ideas is Tikkun Olam. Taking responsibility for the world. If we have gone through a situation that has challenged our own beliefs, then we have the ingredient of resilience that we need to cross the bridge. All that richness from the experience can be transmitted, shared to help enhance someone else’s life… to try to save someone else from what you went through. 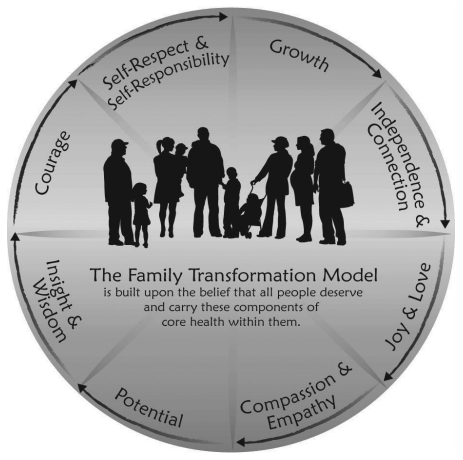 This is the fundamental belief – that there is an obligation to repair, to help, to seek a better life for you and your children. That is how you can transcend. RACHELLE: This may be a lot to ask on one foot, but can you talk about how crisis situations in a marriage can be prevented? YVETTE: The answer to that is both complex and simple. As human beings, we follow this idea that there is a specific set of obligations that we are ought to do. For example, a mother has a duty to provide care for her kids. Sounds very simple. But it has a profound meaning. Because providing for children could mean setting the table for dinner, reading parshah (the weekly Torah portion), or creating harmony at home. It could mean teaching a child how to communicate, to be able to express anger and feelings or to create a house that will help you unplug from the outside world. All those things can become the foundation for another day when you are not experiencing crisis. RACHELLE: How does the guide work? YVETTE: There are three elements to the guide I created. The first is Awareness. If you are aware that something is not working properly according to your belief systems, you can look for resources that help you manage the situation. Becoming aware is one thing. The idea is to empower women to see their blessings and the resources that they already have. When you switch the way you approach your own situations, you become aware of additional resources. This is a very empowering feeling. You are able to reactivate yourself and look for a more positive outcome. For example. A woman is married, and had an accumulative set of problems. Divorce was necessary. And the divorce wasn’t going in the direction her husband wanted… which triggered a violent situation. The husband became angry and he had control of the house and finances. Overnight, this woman’s life became completely different. This woman was in a profound crisis. She was not able to identify her possibilities or resources. She did not know to turn to the key people in her network for help. She was also unaware that her own communication skills were not sufficient. She didn’t have the support to create a self inventory – meaning she didn’t know what she could rely on. We helped her see what her financial status was: did she have money? Did she have a way to work? What was it that she had that she could use immediately? People who could help her? 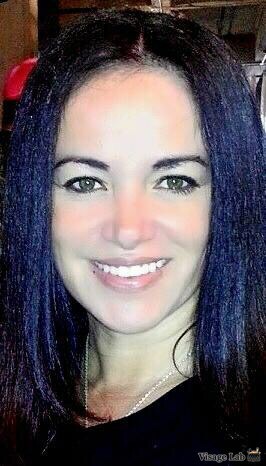 Someone to watch her kids? Did she have any certification? A friend who can help her with meals? A vast list of things to take care of that she didn’t know she had. Point A is the difficult crisis. Point B is having a map – knowing what to do next as far as a job, money, children and emotional support. This transformation was what I discussed with this woman. You have a crisis. You can see tragedy. But once you look at your map, and you can see assets, those become your blessings. This took place over 2 weeks. The third thing is that we support women to not make decisions right away. We supported this woman not to make her decisions while in crisis, while she was doing an analysis. Most of us respond to crisis without seeing the situation from a different perspective. Because this woman didn’t make decisions for 3 weeks, the response she obtained from her ex was different. This model of taking inventory helps people manage crisis in a more peaceful way. Rather than responding to crisis in an automatic manner. 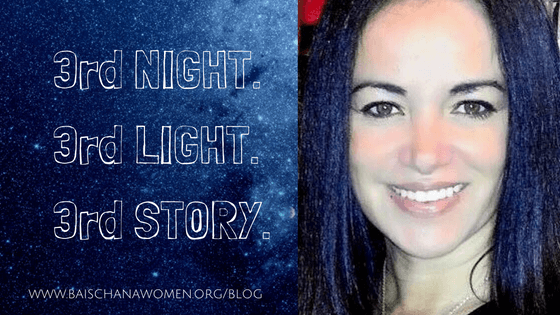 RACHELLE: In what ways are you spreading awareness of this incredible resource for women? YVETTE: The disclosure of this project has been in baby steps. We did a press release and an interview. That is my goal for 2017. To work on shifting the approach to, “Let’s learn how to manage a crisis.” Rather than just labeling people and saying – this is the abuser, this is the victim, and this is a domestic abuse situation. RACH ELLE: Can you tell me a little about your work as a mediator? YVETTE: I am a Civil and Family Law Mediator. When there is legal dispute between any number of people, either in civil or family law, there are different ways to handle the dispute. Most rely on the litigation process. Meaning, a judge will make the decision. But there are really three options. Litigation is when the judge decides the outcome. Arbitration is an informal way of litigating. It allows the two sides to argue and present themselves. The third option is mediation. In mediation people make decisions for themselves. I help shift people who are mediated into looking at the problem with different eyes. It requires empathy and communication. It helps people find a peaceful way to end their dispute. However, peaceful is not the same as harmonious. Consider the fact that when you have a dispute, obviously both parties are not in a mellow mood. They are upset and angry. So there is a completely different set of feelings. In mediation I try to find an alternative platform to discuss, deliver and understand the problem they have. Albert Einstein once said, “We cannot solve our problems with the same thinking we used when we created them.” In mediation, we create a different set of tools and resources. Rather than, “I’m angry. I want justice,” we get into the creative mode of problem solving. RACHELLE: How has Bais Chana impacted you? YVETTE: It was a very interesting thing for me. I grew up secular but I always had this hunger for a more spiritual life. When I became a mom, that increased in a very natural way. I wanted to give my son a very solid, spiritual foundation and daily life. When I became a single mom, there were more factors that I had to juggle by myself every day… more things to do that were added to my list. I came upon Bais Chana [for Single Moms] by accident. A friend sent it to me and it said – Jewish Single Moms. I didn’t think twice, I just went. And it coincided with what I was always looking for. I was constantly pursuing a way to provide an atmosphere of harmony and congruence for myself and my son. If I say I like blue then I will dress in blue. I always wanted to find the knowledge to help me live in a harmonic house… knowing that there is a center where Hashem (G-d) is. I go like a planet goes around the sun. I plan my life in congruence with the things that I learned [at Bais Chana]. The retreat gave me more meaning about being a Jewish woman and an understanding of why things happen. I took responsibility for my decisions and tried to obtain the meaning of my experiences – good or bad. I was inspired by the lectures that I heard and one of the discussions that I had in last retreat. There was a woman who was explaining a topic and I kept asking questions. Sometimes when you read the Torah, it’s difficult to connect those teachings with your daily life. But the way she discussed the topic created a bridge about how to understand it. Those moments in my life, even though they are little, they have a serious impact on my life. 6 months later… a year later… I think about them and it still releases the same joy, the same inspiration to keep doing what I’m doing: learning. And to be doing more – as a mom, as a person, and as a professional. Bais Chana helped me and it helped all those attending. It gave us great guidance, and it gives you the feeling that there are many ways we can live a beautiful life.